Many of LMK Design's come with the option to upgrade or add items to each piece. Here you will be able to pay for your custom order here or add an upgrade or additional items here that may not be available otherwise. Simply place in exact amount that was discussed or amount reference to below then note in the comments area the details of what the upgrade payment is for. This page is intended for customers that I have been in conversation with ahead of time. Please if you are not sure contact me first to okay a custom order or custom upgrade. 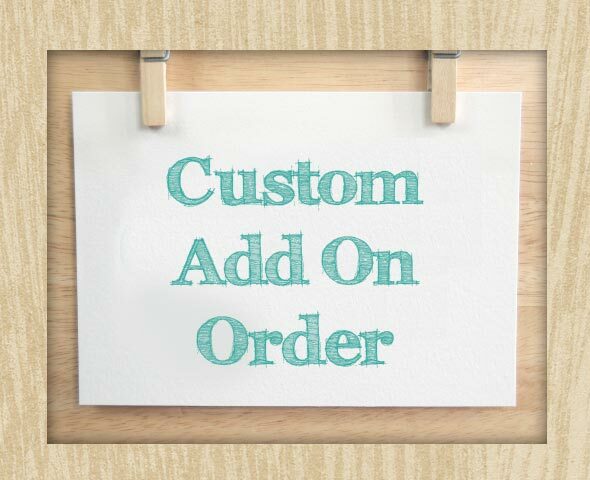 Priority Creation for $10 will place your order to the of all orders to be made 1-2 days instead of the 3-7 business days. View All Available Birthstone Colors Here.